*Benefits are available upon completion of elegibility period. Thank you so much for a great service! We are very happy and pleased with our driver Mark.B in Huntington Park area. He comes on time with big smile, always happy and cares for our shipment. My wife and I team drive for R&L. We have been here almost 3 yrs. We couldn't be happier. We are on a dedicated run 578 miles each way and back to home terminal every day. We get 2 full days off every weekend. We get 3 to 4 hrs at home terminal each night. We live an hr away so we only go home if it's urgent. They have a shower room for us so we get a shower there each night. We each earn 1900 dollars a week. The most money we have ever made teaming . And 2 full days off every week is unheard if team driving. We get a brand new truck every 2 years. We put 300k on it each year. Our pay is always correct and on time every week. As team drivers we can say without a doubt that R&L is at the top of the industry. The only job I found that paid more was hauling Dept of Defense loads but out 4 weeks at a time. As long as you stay on schedule and Do your paperwork correctly we never hear from dispatchers or safety. Love it and we will retire from here. Equipment bad don't take care of it Treat the temps better than the employees trucks dirty never wash them and the employ bar b q that they have are very bad cold hamburgers and hot dogs and they bar b q in the morning who want to eat first thing In The morning come on. Q: Looking for info on rl carriers. I just saw a job posting to work out of El Paso TX location. Wondering if it will be a good switch for me. Wanting to know how they get paid, and what home time looks like. Thanks in advance for your replies. A: Most R+L guys seem to be happy there. Different terminals will vary though. A: I know that they require 1 year class a cdl in the past 3 yrs. Their line haul iso overnight runs and make averaging about 65-70 starting out. Their hourly p&do guys start about 20+/HR and it's time and a half after 40. They have 3 company owned resorts (California, Tennessee and florida) that you can stay at for cheap as an employee insentive. I looked into them when I was looking and decided to go with Saia instead. This info was from what was provided to me last week. City paid by hour. Line haul is paid mileage. Home daily usually as they changed their routes to get rid of hotel costs. If linehaul be prepared to be on nights until you are about to retire. 60k-90k roughly. 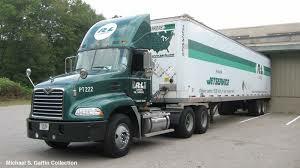 Any LTL or P&D company can be good..Any particular terminal can be good or bad...You'll extract max value from your CDL, companywise...Just get on, hopefully make it a couple years if it aint that great, then jump ship..
Hey guys my wife and I team drive here. Out of the Louisville Ky terminal. Best company we have been with.Been here for a year and a half. I have 25 years experience and wife 10. We both made 85k each last year and will top out at 90k next year. Dedicated run. 1200 miles a day and 2 full days off Sat and Sun. Unheard of for teams. All of the local and solo linehaul drivers I've met are happy here. Solo linehauls avg 60 to 75k home daily. Local p and d avg 55k to 60k. Each terminal pay is different. We will be retiring here. Wish we found them years ago. The team we replaced retired after 15 years here. Q: So I am thinking of making the move from OTR to local/LTL. I live in Pensacola FL and these 3 companies are about all there is here. I called all 3 and only R+L has p&d and line haul. The other 2 companies only run local p&d. Out of these 3 companies which one would be the best pick for a long term career? I've heard alot of good things about all 3. I've done some research but I really don't know a whole lot about running ltl. If anyone here has opinions or works for one of these companies, please tell me your experiences with them. A: I choose the one that has a linehaul & P&D as options. Not everyone can do P&D for 20yrs (physical work) Also you might try linehaul not like it and go back to P&D vise versa. Or you need more money and jump to linehaul. Even though ODFL gets a lot of praise their P&D doesn't get OT. R&L pays 25.87 topped out and I believe they have OT. SEFL I have no idea. If OD had linehaul too id jump there but not having options to me is a killer. Not everyone likes P&D. When I was at Foodservice(similar, stops, delivery, customers, a bit more physical then P&D) for a year towards the end I would open my trailer at the start of the day and be like"am I really gonna unload trailers for the rest of my life?" I personally have more longevity in linehaul in my mental health and physically I'd rather kill my body at the gym on my time then at work. Q: Does anyone know how often the System Driver at R+L gets home? A: Hey sorry I just saw this, I am a system driver for them and to answer your question you are home every weekend, BUT you never know what time. When I looked into it they said Mon to Fri and for the first 6 months that was basically true I was home almost every Fri night 12 to 2 am but about 6 months ago they started not getting me home till late Sat. afternoon I don't mind an occasional sat. but not every week. THEY ACT LIKE YOU ARE NOT ENTITLED TO BE HOME. Most of the dispatchers in central are completely clueless and are CLOWNS who have no Idea about how long it takes to get somewhere. I've been doing it for a year now with trucks that nothing works no APU for 8 months no electric for microwave,tv or coffee pot. still, in 30 years of driving I've NEVER worked for a company that ####s on their drivers this badly they expect you to do things for FREE and make the line hauls drivers sit around for HOURS I MEAN HOURS with out pay. I kept thinking it'll get better but it's getting worse I'm currently looking real scumbags here. Good luck. PS.Lots of long time employees leaving in droves, most of the old timers stay because they don't wanna change lots and lots of drivers with under 2 years ,makes you go hmmmm. A: I think it depends which terminal you run out of. Luckily our meet guy is usually on time. When we get back we have 2 and a half hours wait for load to be ready but we use that to get our shower and walk for exercising. We get back at 10pm and our cut time is Midnight. Usually get paperwork by 1230. I have heard nightmare from system drivers about delay time . Our shop is pretty good about repairing any thing wrong. Our APU quit working so our mechanic did an override on the idle. 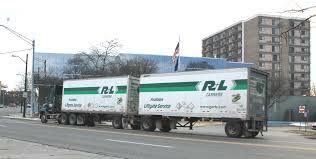 R+L Carriers - anyone familiar with them? Transport Topics (2/23/15, page 22) quotes Jay Bullard, vice president of operations at R+L Carriers: "Over the past year, we have put Bose Ride system seats in 1,000 of our 5,000 cabs as a way to alleviate shocks and vibrations and to show management's appreciation for the job drivers do." Update on this thread: I took the local p&d position with them several weeks ago. Not bad so far. Obviously terminals vary, but mine expects an average of 52 hours per week for p&d. I go in at 9AM, usually done at 7PM. Drivers don't do dock work, at least not at my terminal. Sometimes I go back out to do a drop and hook after my route, or go do a few warehouse pick ups to help a dispatcher clear his board. Occasionally there is Saturday work available. One of the reasons I took the job is that I do want to make money, but I'm at a point in life where I don't really want to be in a truck more than 50 hours a week or so. Another is that the terminal happens to be very close to my house. They have me on a regular route already, which I like. The equipment is well-maintained, and they spec comfortable seats in all of their trucks, and they are now aging out most of the fleet and and replacing the p&d trucks with new peterbilts believe it or not. Obviously some old beaters in the fleet for the guys on the bottom, but a little windex and armorall and the old one-stack Mack I'm putting around in is decent enough. Linehaul gets IHC's and Peterbilts also, rumored to be some KW's. Quirky company in some ways - I had to provide my own pallet jack. Is this something that happens in other companies? Also the time off is almost non-existent, but they let you stay at company-owned resorts when you take vacation. Some of the guys take them up on this and go to Daytona Beach every year. Cute, but I probably won't use that benefit. Anyway - I'm with you guys in LTL now! It ain't just holding a steering wheel all day is it?